The submarine-based R-30 Bulava (Mace) was conceived to replace the ill-fated R-39 Bark missile which featured a first stage built in Ukraine. In 1997, the Moscow-based Teplotekhnik Institute, MIT, was assigned to develop the Bulava. It would be the first submarine-based missile project for the design bureau which previously specialized in ground-based mobile ICBMs such as the Topol-M. 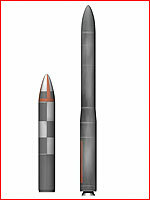 The solid-propellant Bulava missile was designed to carry multiple warheads and have a range of around 8,000 kilometers. The missile was expected to have many common elements with the Topol-M, which MIT developed for deployment in silo and on mobile trucks. 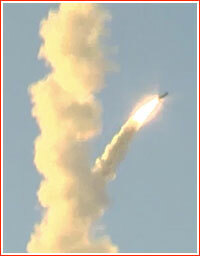 The Bulava was also promised to have an accelerated ascent during the first-stage phase of the launch, which was designed to avoid potential antimissile systems. During its flight, the missile was reportedly capable of withstanding a nuclear explosion as close as 500 meters away and still continue its doomsday mission. The Bulava project was based on the Project 955 Borei-class submarines, carrying 12 rockets each. According to the Russian press, Bulava missiles would be placed in the submarine under angle instead of the traditional vertical position. As of 2004, three Borei submarines were scheduled to be deployed: the Yuri Dolgoruky, the Aleksandr Nevsky and the Vladimir Monomakh. The construction of the Yuri Dolgoruky, which was originally designed for R-39 Bark missiles, started around 1996 in Severodvinsk and during 2004 it was scheduled to enter service in 2005. In September 2005, the launch of the submarine was promised for the end of 2006. The changes in the design from the R-39 missile to the R-30 apparently complicated the construction. As of 2006, the launch was expected in 2008. The construction of the second, the Alexander Nevsky, started in March 2004 and, as of September 2005, the launch of the vessel was expected in 2007. In 2006, the launch was expected in 2010. The construction of one more sub, the Vladimir Monomakh, was expected to start around 2005, however was apparently delayed. As of 2006, the launch of the submarine was expected in 2011. According to the plan, all three vessels would enter service no later than 2010. By that time, out of 27 strategic submarines of the Delfin, Kalmar and Taifun class, then in the armaments of the Russian Navy, only 10 would remain in service. To save money and shorten the testing period, the developers decided to skip the launches from the land-based sites and go directly to sea trials. These proved difficult however. 2003 Dec. 11: First "throw" tests of the Bulava missile from the Dmitry Donskoy sub from the surface. 2004 Sept. 23: Russia initiated tests of the Bulava submarine-based ballistic missile on Sept. 23, 2004. 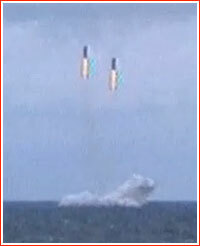 The nuclear submarine Dmitry Donskoy based in the White Sea tested its launch system by ejecting a mockup of the Bulava missile, while in submerged position. The PAD pressure generator pushed the mockup to an altitude of around 30-40 meters. Admiral Kuroedov, the Commander-in-Chief of the Russian Navy oversaw the test, Russian media reported. 2005 Sept. 27: The Dmitry Donskoy submarine, commanded by Captain Arkady Romanov, launched a Bulava missile from the White Sea at 17:22 Moscow Time. 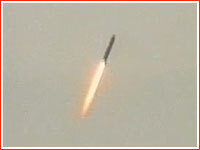 The missile successfully hit a target at the Kura impact range in the Kamchatka Peninsula. 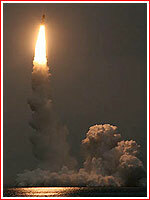 The launch was delayed from at least May 2005. 2005 Dec. 21: The Dmitry Donskoy submarine conducted another test launch of the Bulava missile. It was the first firing from a submerged vessel, Russian navy officials said. 2006 Sept. 7: A test launch of the Bulava missile from the Dmitry Donskoy submarine failed after several minutes in flight due to problems in the flight control system. The missile fell into the sea. The sub was not affected and was returning submerged to the Severodvinsk base, according to the Russian navy spokesman. 2006 Oct. 25, 17:05 Moscow Time: A test launch of the Bulava-M missile from the Dmitry Donskoy submarine, deployed in the White Sea, failed some 200 seconds after liftoff due to an apparent failure of the flight control system, the Kommersant newspaper reported. A Navy spokesman told the Interfax-AVN news agency that the missile had deviated from its nominal trajectory and most likely self-destructed. According to the Kommersant, the string of failures during test threatened an ambitious schedule of no more than 10 test launches of the Bulava before its acceptance into the armaments of the Russian navy, previously scheduled for 2007. In the meantime, in July 2006, Interfax reported that the launch of the Yuri Dolgoruky submarine, previously scheduled for December 2006, had been delayed to the first quarter of 2007 by minor technical issues. 2006 Dec. 21: A test launch of the Bulava ballistic missile failed as a result of the flight control failure onboard the third stage of the missile some three minutes after liftoff. The self-destruct mechanism was apparently activated. 2007 June 28: After a string of failures, Russia's new-generation ballistic missile designed for submarines completed a successful test flight, Russian military announced. The Bulava strategic missile lifted off on June 28, 2007, from the Dmitry Donskoy submarine stationed underwater in the White Sea. 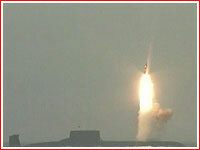 The missile flew toward the Kura impact range in the Kamchatka Peninsula. 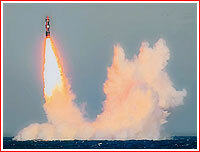 According to a spokesman for the Russian navy, the missile's warhead successfully reached the target area. Reports about the tests on Russian state-controlled TV showed no footage of the actual launch, instead rolling an animation of a hypothetical missile destroying a barn! In reality, the Bulava is a strategic nuclear tipped missile with the potential to wipe out entire cities. Later reports revealed that the system of separation of the MIRV warheads malfunctioned causing one of the warheads to miss its target. 2007 Nov. 11: A test launch of the Bulava missile failed, triggering the self-destruct mechanism some 23 seconds after a liftoff. 2008 Sept. 18: The Dmitry Donskoy submarine conducted a successful test launch of the Bulava missile, the Russian space agency said. The submarine was deployed in the White Sea. According to a representative of the Russian defense ministry, warhead mockups from the missile reached the Kura impact range at 19:05 Moscow Time. 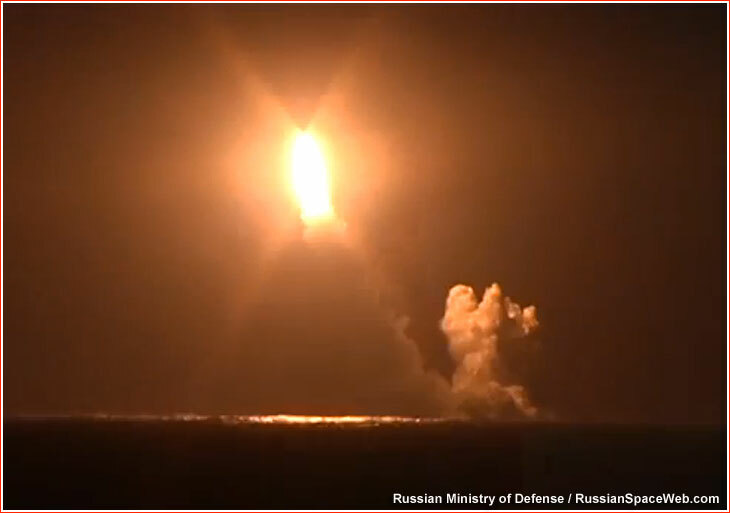 Several days after the launch, the well-informed Kommersant newspaper reported that multiple warheads of the missile had failed to separate during the final phase of the otherwise successful launch. 2008 Nov. 28: A Bulava missile successfully hit all its multiple targets at the Kura impact range on the Kamchatka Peninsula after a test launch from the Dmitry Donskoy submarine stationed in a submerged position in the White Sea. 2008 Dec. 23: A long-anticipated launch of the Bulava missile ended in another failure, prompting soul-searching within the Russian military industrial complex. According to the official Russian sources, the missile lifted off from the Dmitry Donskoy submarine in the White Sea on Dec. 23, 2008, at 06:00 Moscow Time, targeting the Kura impact range on the Kamchatka Peninsula. 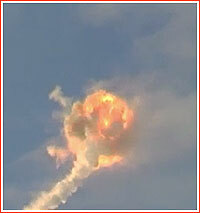 The Russian press quoted various sources saying that in-flight problems arose soon after the separation of the first stage. The Vzglyad newspaper quoted an anonymous source on Dec. 23, claiming that two first stages worked flawlessly and the third stage was the culprit. At the same time, RIA Novosti quoted a Russian Navy representative as saying that the number of test launches of the Bulava missile scheduled for 2009 was increased from three-four to at least five. The launch was previously scheduled for Dec. 21, 2008. The Russian press later cited faulty pyrobolts as culprits in the failure and poor quality during the manufacturing was blamed. 2009 July 15: Another attempt to rehabilitate the Bulava ballistic missile ended in failure. Dmitry Donskoy submarine submerged in White Sea fired the missile on July 15, 2009. However 28 seconds after liftoff the missile deviated from its course and self-destructed. Only a day later, information about the failure appeared in the Russian media. Four days later, the semi-official Interfax news agency quoted a member of the investigation commission as saying that the gas generator producing power for the flight control system was the culprit. In the wake of the failure, Yuri Solomonov, the head of the Moscow Institute of Thermal Technology, which developed the missile, resigned his post on July 22. On July 26, 2009, admiral Vladimir Vysotsky, the supreme commander of the Russian Navy, told the RIA Novosti news agency that testing of the Bulava missile would continue, even though it was not an ideal weapon for the fleet. Vysotsky said that advanced planning for a new generation weapon had already been done, although the development of the Bulava missile would not be reconsidered. 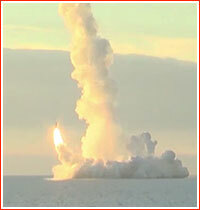 2009 Dec. 9: The long-anticipated 12th test of a Bulava missile ended in failure after its liftoff from the Dmitry Donskoy submarine stationed in the White Sea. The incident was first reported in the independent Russian press, but it was confirmed by the Russian military on Dec. 12. To make this failure even more embarrassing and high profile, the flight of the missile was apparently responsible for a spectacular and bizarre sky show over Norway and possibly indicated a chaotic tumbling of the missile in flight. A flickering white spiral and a bright blue tail were visible in the city of Tromso around 7:45 in the morning local time. Given the distance of the launch from observers, the failure probably took place near the top of the missile's trajectory, during the burn of its third stage. As some consolation to developers, the first two stages of the rocket probably worked normally. A failure of flight control computers, attitude control thrusters or jamming of the main propulsion system's nozzle in a wrong position could all lead to the tumbling of the the missile in flight. On Dec. 12, the Russian Ministry of Defense did confirm to the semi-official Interfax news agency that the third stage had failed. Two previous launches of the Bulava missile also failed, bringing the total of failed flights to six. (see above) The latest flight apparently followed an aborted launch attempt in November, when the Dmitry Donskoy submarine reportedly sailed to the launch area, but did not conduct the actual launch scheduled for Nov 24, 2009, the RIA Novosti news agency reported. The test was originally scheduled to take place in October 2009. Despite the scandalous atmosphere around the project, the high rate of failures in Bulava tests might be explained by the complex nature of the new weapon, especially of its highly maneuverable third stage, rather than by a fundamental flaw in the design of the missile. The history of rocket development knows many examples of difficult birth of new systems, which would later reach a high degree of reliability and performance. In August of 2009, shortly after the previous failed launch, Russian officials disclosed that a fourth submarine for the Bulava-type missiles would be constructed. 2010 Oct. 7: The long-anticipated 13th launch of the Bulava missile was successful, the Russian Ministry of Defense announced. 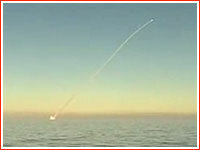 The rocket was launched from the Dmitry Donskoy submarine stationed in the White Sea in the direction of the Kura impact range on the Kamchatka Peninsula. According to the Ministry of Defense spokesman, all warheads reached Kura. Two more test launches were promised during 2010, including one from the Dmitry Donskoy and one from the operational version of the submarine - the Yuri Dolgoruky. 2010 Oct. 29: The 14th test launch of Russia's Bulava submarine-launched ballistic missile was a complete success, official media reported Friday. It was the second successful flight in a row of the previously troubled vehicle. The missile lifted off on Oct. 29, 2010, at 05:10 Moscow Time from the Dmitry Donskoy submarine submerged in the White Sea. Several minutes later, the multiple warheads from the missile successfully hit their targets at the Kura impact range in the Kamchatka Peninsula, a Russian Ministry of Defense spokesman said. Another test launch of the Bulava missile was scheduled for December of this year, Russian media reported. 2011 June 28: The Yuri Dolgoruky submarine submerged in the White Sea launched the Bulava missile. According to the official Russian sources, this was the first firing of the missile from an operational vessel and all warheads successfully reached their targets at the Kura impact range on the Kamchatka Peninsula. On August 1, 2011, Russian officials promised to conduct four test firings of the Bulava missile before the end of 2011, including a possible salvo launch of two or more vehicles. 2011 Aug. 27: At 07:20 Moscow Time, the Bulava missile lifted off from the Yuri Dolgoruky submarine stationed in the submerged position in the White Sea and 33 minutes later its warheads successfully impacted in the Pacific Ocean, some 9,300 kilometers from the launch site, demonstrating maximum range of the new weapon, representatives of the Russian Navy announced. It was the 16th flight of the missile. 2011 Oct. 28: (08:20 Moscow Time?) The Yuri Dolgoruky submarine stationed in the submerged position in the White Sea launched a Bulava missile toward the Kura impact range in Kamchatka Peninsula. The missile's warheads reportedly reached their targets. 2011 Dec. 23: The Yuri Dolgoruky submarine stationed in the submerged position in the White Sea launched a pair of Bulava missiles toward the Kura impact range in Kamchatka Peninsula. The missiles' warheads reportedly reached their targets. 2013 Sept. 6: A Bulava missile failed after the launch from a submarine. Before the launch, Rossiskaya Gazeta, the official newspaper of the Russian Duma (parliament) reported that the launch aimed to test an upgraded version of the Bulava missile. However according to the Kommersant newspaper, since the purpose of the launch was to test the overall system rather than the missile itself, it involved a serially produced vehicle lacking telemetry hardware that would be present on test versions of Bulava, thus complicating the investigation of the failure. The flight was still tracked by Daryal early warning radar in Pechora in the Russian republic of Komi, which had a "view" of Barents and White Sea. The semi-official Interfax news agency reported that a failure of the thrust vector control onboard the missile doomed its launch. 2014 Sept. 10: After a year-long break, Russia conducted a test launch of its newest submarine-based ballistic missile. 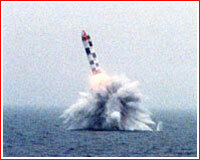 A Bulava (Mace) missile blasted off from the Vladimir Monomakh nuclear submarine submerged in the White Sea. 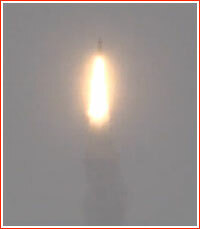 After a vertical liftoff, the Bulava headed toward the Kura impact range on the Kamchatka Peninsula in the Russian Far East. According to a representative of the Russian Ministry of Defense quoted by the official Russian media, the launch was conducted within the program of official state testing of weaponry and life-support systems onboard the Vladimir Monomakh submarine. All flight parameters of the Bulava missile were normal and its warheads successfully reached the impact site in Kamchatka, the Ministry of Defense said. Following the test flight, the official RIA Novosti news agency also quoted Admiral Viktor Chirkov, the commander of the Russian Navy, as saying that two Russian submarines from the Borey project had been scheduled to fire a pair of Bulava missiles in October and November of this year. 2014 Oct. 29: The Project 955 Yuri Dolgoruky nuclear submarine stationed in submerged position in the Barents Sea fired a Bulava missile on a test flight. The rocket's warheads targeted the Kura impact range at the Kamchatka Peninsula. 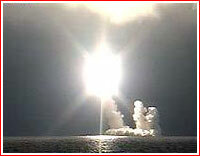 For the first time the rocket was fired from a submarine carrying all 16 Bulava missiles in its silos. 2014 Nov. 28: The Aleksandr Nevsky submarine stationed in the Barents Sea fired a Bulava ballistic missile toward the Kura impact range on the Kamchatka Peninsula, the official Russian media reported quoting the nation's Ministry of Defense spokesman. 2015 Nov. 14: The K-551 Vladimir Monomakh submarine submerged in the White Sea fired two Bulava missiles. According to the Russian Ministry of Defense, both missiles headed to the Kura impact range on the Kamchatka Peninsula and reached their destination. However later reports in semi-official Russian media said that due to technical problems at launch, one of the missiles had missed its targets, possibly due to damage during the liftoff. 2016 Sept. 27: The Yuri Dolgoruky submarine deployed in the White Sea fired a pair of Bulava missiles toward the Kura impact site on the Kamchatka Peninsula. 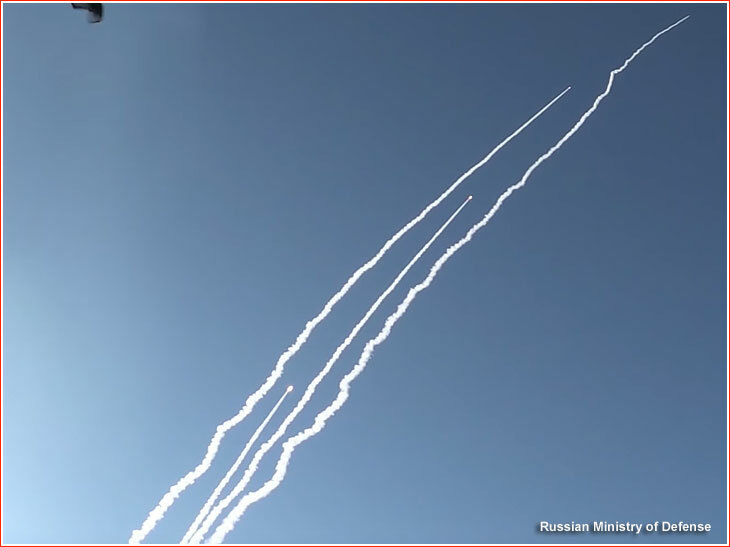 According to the Russian Ministry of Defense quoted by the Russian media, both rockets lifted off from their silos on prescribed trajectories. The warheads of the one missile successfully reached their targets, however the second rocket self-liquidated after the first phase of the flight. 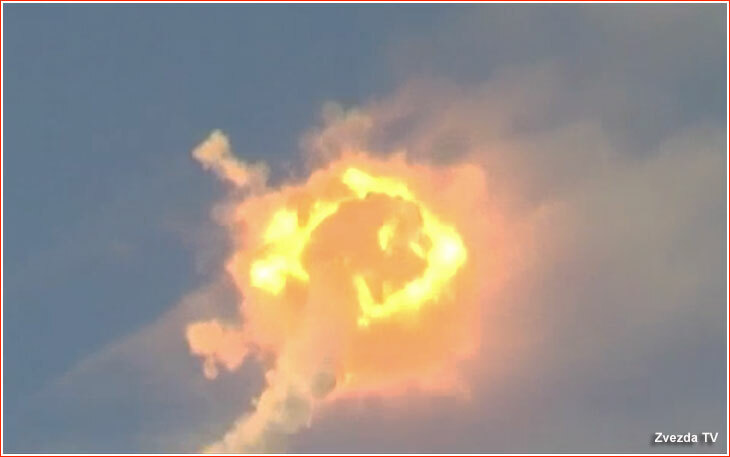 As became apparent in the video released several months later, the second rocket apparently experienced problems with thrust vector control immediately after liftoff. 2017 June 26: The Russian Ministry of Defense announced that the Yuri Dolgoruky submarine had launched a Bulava missile, whose warheads had successfully hit intended targets at the Kura impact site on the Kamchatka Peninsula. 2018 May 22: The Yuri Dolgoruky (955 Borei) submarine deployed in the White Sea fired a salvo of four Bulava missiles whose warheads successfully hit their targets at the Kura impact site on the Kamchatka Peninsula. According to press service of the Russian Northern Fleet quoted by the Russian media, it was the first quadruple launch for the Bulava system and all the rockets involved in the exercise lifted off from a submerged submarine and completed their tasks, confirming tactical and technical specifications and reliability of the 955 Borei vessel and the Bulava rocket complex. *the number is most likely inaccurate, since it leaves only 0.6 meters for the length of the warhead. The first launch of the Bulava from a submerged submarine on Dec. 21, 2005. 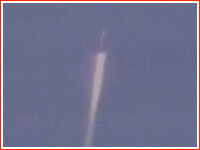 Apparent image of the Bulava launch from a submerged submarine. 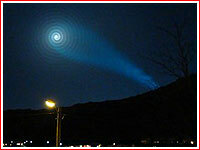 In 2009, a failed launch of the Bulava produced a spectacular light show over Norway. A launch of the Bulava missile on Oct. 7, 2010. An apparent photo of the Bulava launch in June 2011. A dual launch of Bulava missiles in December 2011.